Does your team use monitors to show dashboards for status, build health, or traffic? 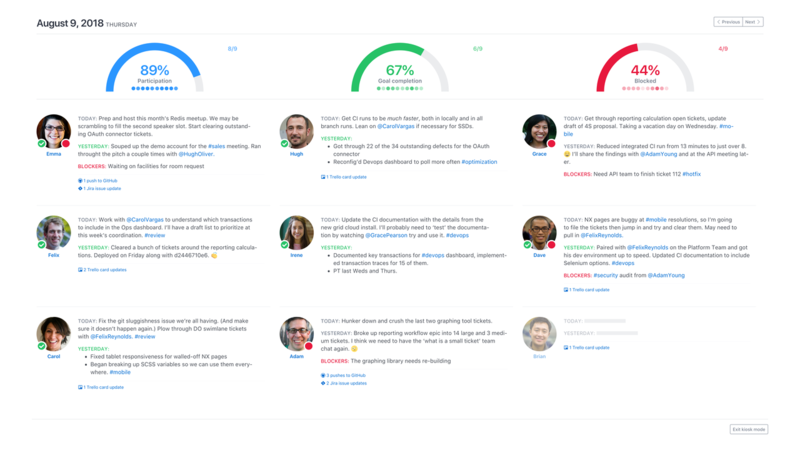 Want to make it easy for your team and stakeholders to see what’s happening? With kiosk mode, you can show off your team’s updates in a beautiful and easy to consume dashboard. New check-ins will automatically display so you don’t need to refresh. To enable Kiosk mode, just click the “Kiosk Mode” link in the bottom left of the Dashboard page.